Cotton rope is an incredibly soft and tactile rope that can often be found in horse halters and tack as well as pet toys and decorative use. Braided cotton rope (or twisted cotton rope) is created from spun cotton fibre that grows around the seeds of cotton plants. 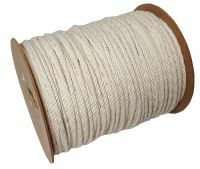 Cotton Cord & cotton rope also has a history of use in small boats although it has largely been replaced due to its inherent stretch. Easily dyed, cotton rope is popular in retail display and commercial interior design & rope decking and we offer a choice of thicknesses ranging from 3mm up to 32mm. 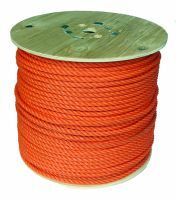 We sell by the metre, or on full reels of 40m up to 500m depending on the diameter, enabling you to find the most suitable length for your needs. 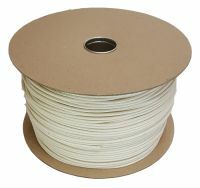 As a purely online retailer you’ll find that our cotton rope is priced to beat our competitors, plus we offer Next Working Day Delivery to mainland UK addresses for our commercial customers. Order before 12pm today and your cotton rope will be with you tomorrow.